A privately owned Romanian family business, Caro City Resort is located in the hearth of Bucharest’s largest and newest business district and also only step away from the city’s vibrant center. 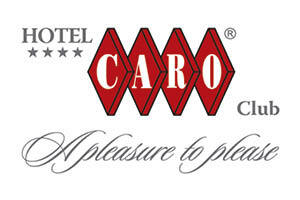 Caro City Resort has earned the reputation of being on the hippest location in Bucharest, offering a uniquely designed property with the perfect blend of contemporary and traditional. From the strikingly historical exterior to the warm Romanian welcome waiting inside, the emphasis throughout is on comfort and high-quality services achieved by a unique collection of 188 designed bedrooms. A dedicated team of professionals transforms your vision in the perfect event, be it a business lunch or dinner, a cocktail party a gala or that special day you always dreamed. 11 conference & events rooms with over 1000 sqm of meeting space to suit all needs. Restaurants La Vitrine Lounge & Restaurant & Classic Romanian Restaurant. Wine Bar 1000 de chipuri. Several bars to enjoy selected colorful cocktails and hearty snacks.